N.O.R.E., formerly Noreaga is a multi-platinum recording artist. From Lefrak City, Queens, New York City, New York. N.O.R.E. 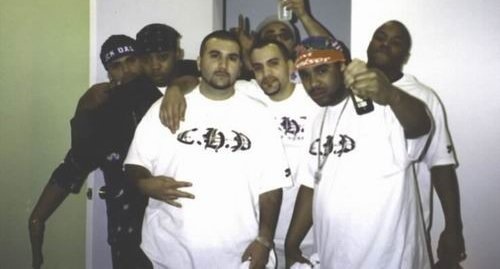 first rose to prominence as one half of the hip hop duo “Capone-N-Noreaga (C-N-N), alongside fellow Queens-based rapper Capone. N.O.R.E. has also found success as a solo artist with singles such as “Superthug”, “Banned from T.V.”, “Nothin”, “Oye Mi Canto”, “Uno Mas”, etc. Success in the music industry was only the beginning. 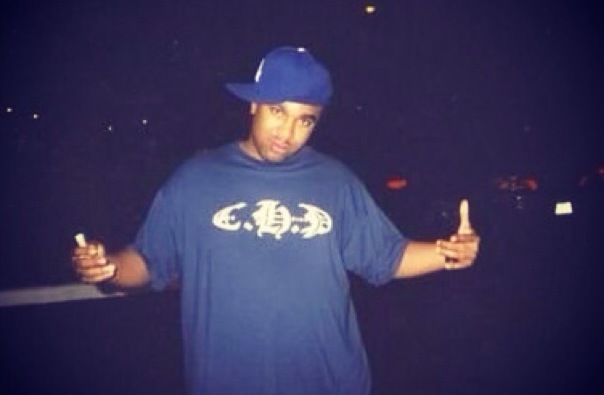 Throughout his career, N.O.R.E. has always been able to reinvent himself. An important trait, in an industry that’s constantly changing. In the past 3 years N.O.R.E. along side DJ EFN co-host “Drink Champs” the number 1 podcast in Urban Programming. However, their friendship goes back 20 years. 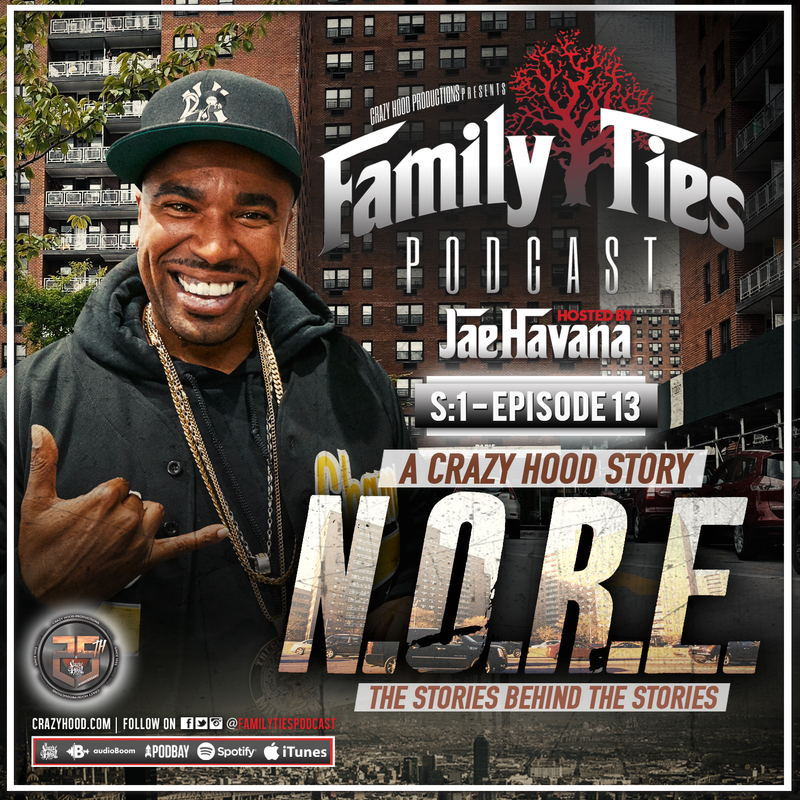 They were first introduced by Phil The Mayor (listen to Episode 11 of Family Ties for the complete story) who took N.O.R.E. to DJ EFN’s “Crazy Good’s” store in Kendall. There at the store is where N.O.R.E. recorded most of DJ EFN’s mixtapes. The Crazy Hood Movement is one that attracted N.O.R.E. from the beginning. Every time he visited Miami, the comradery, and brotherhood of a crew that has known each other for years made N.O.R.E. feel at home. And eventually Miami became home. From their first initial meeting at “Crazy Goods” to performing his first show in Miami. The friendship between N.O.R.E. 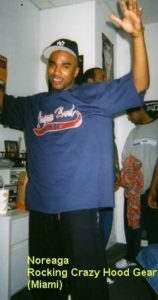 , DJ EFN & The rest of Crazy Hood is ever growing. Be sure to tune in weekly and hear the individual stories of each Crazy Hood member. Family Ties, takes an in depth look at the teams behind a movement. To celebrate Crazy Hood’s 25th Anniversary we will hear from each member of Crazy Hold and their perspective of the Crazy Hood story.